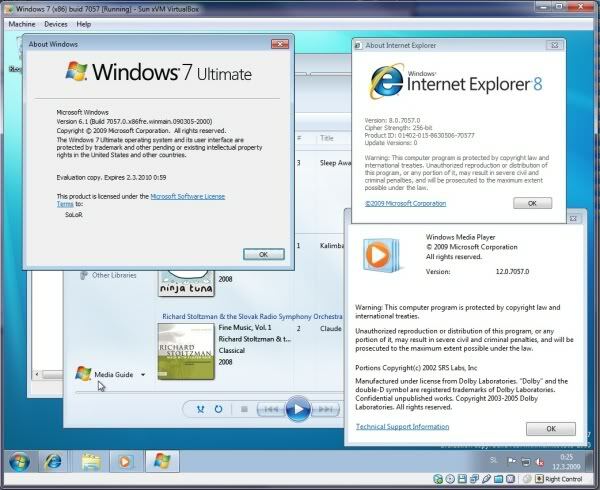 Now this is height of Windows 7 Leakage, less then week ago windows 7 build 7048 32-bit and 64-bit got leaked and today windows 7 build 7057 x86 got leaked which is claimed to be actually Windows 7 RC build. As per news this has been leaked by one of Russian user. 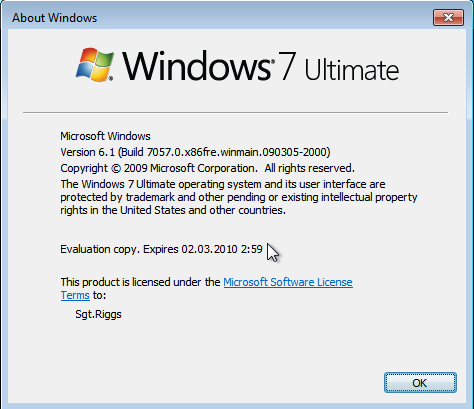 Windows 7 Ultimate Build 7048 32-bit version is available for download on all popular torrent websites. 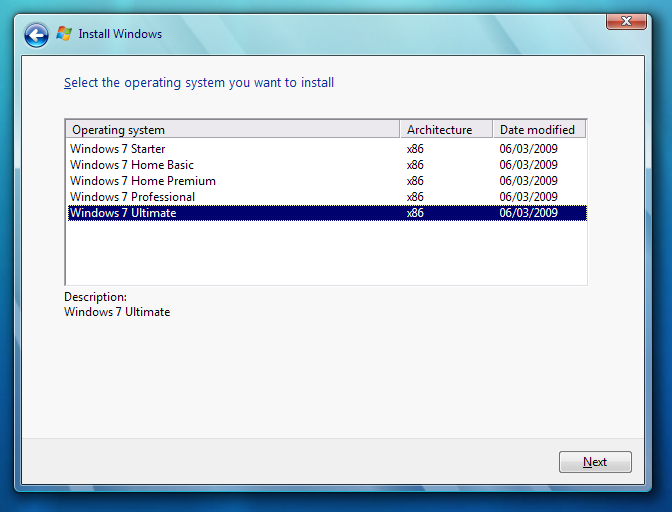 The build tag on Windows 7 Build 7057 has 7057.0.x86fre.winmain.090305-2000 which means that this was compiled on March 5. 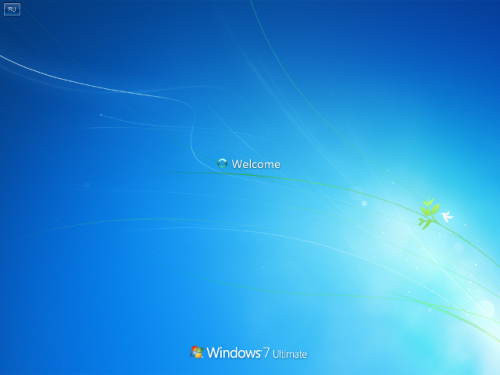 The news of Windows 7 Build 7057 has been broke by blog.win7.ws with actual screenshots of build 7057 setup installer. Well most interesting part of Windows 7 Build 7057 is its going to expire on 2010 and it has been leaked in the form of ISO DVD which can be easily burned on DVD. 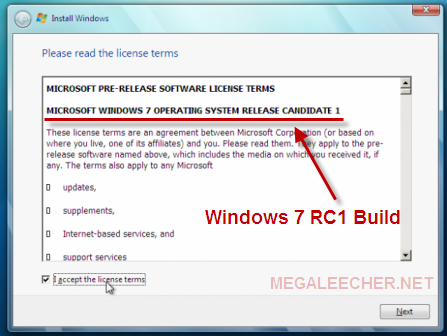 Windows 7 RC1 build 7057 32Bit all editions, including Extra regional & regionalized themes. - SQL Server 2005 Developer 64 bit, Reporting service. - Visual Studio 2005 64 bit. - Visual Studio 2008 Pro 64 bit.